Digital payment solutions firm Mobikwik will spend about Rs 100 crore on marketing and advertising over the next few months to expand the user base of its mobile wallet services in the country. The Gurgaon-based firm, which claims to have 17 million users, expects to have more than 100 million users of its mobile wallet service by year-end. "Till now, we have grown on word of mouth. We have now started with our ad campaigns. It is a mix of OOH, radio and digital," MobiKwik Founder and CEO Bipin Preet Singh told. He added that the company will spend about Rs 100 crore over the next few months on its advertising and marketing campaigns. Founded in 2009, the firm had recently raised USD 25 million (Rs 155 crore) in series B funding from Amex, Cisco and Treeline. "We are witnessing a strong traction in user growth and usage of our wallet service. The wallet sizes are also growing. Offline retail and segments like travel are driving growth," Singh said. Presently, the company gets a small percentage of its revenue from offline retailers but expects the contribution to grow to 20-25 per cent as it expands partnerships with more stores. Its partners include Dominos and Cafe Coffee Day. MobiKwik, which competes with the likes of Paytm and PayU, has online partners like Jabong, Fashionandyou and American Swan. 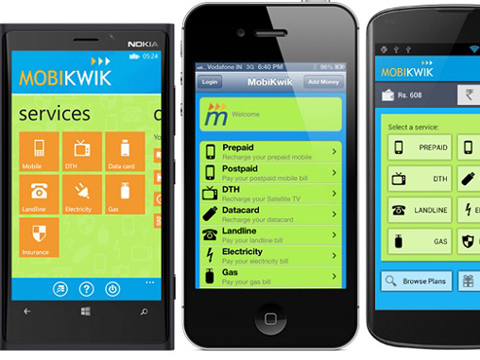 MobiKwik aims to double its revenue run rate to Rs 4,000 crore in the current fiscal. Revenue run rate is a term used in online retailing to indicate total value of merchandise sold over a time-frame. According to industry body IAMAI, the total digital commerce market in India reached Rs 81,525 crore by the end of December 2014. Prepaid cash cards and mobile wallets accounted for 8 per cent of the modes of payment. As per a news reported by Et retail.